This feature was one of the most highly requested. In March 2019, it finally became available. 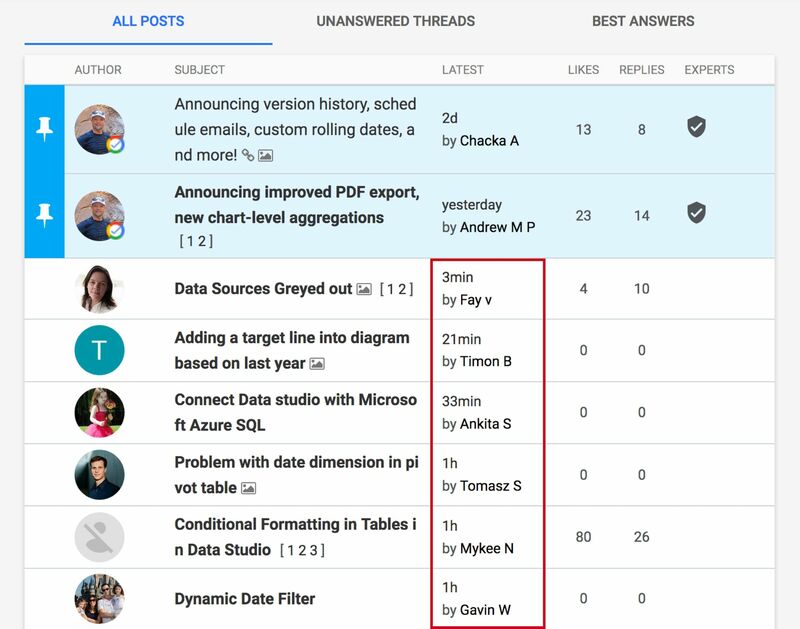 Here is how to schedule the delivery of your Data Studio reports by email. New "Schedule email delivery" button. The report arrives as a PDF file attached to the email. It's the same PDF which you can download directly from Data Studio. The footer is not the same for all recipients. There is no need to be logged in any Google account to unsubscribe. Are you experiencing any issue? If you don't receive your report, please check your spam folder first. 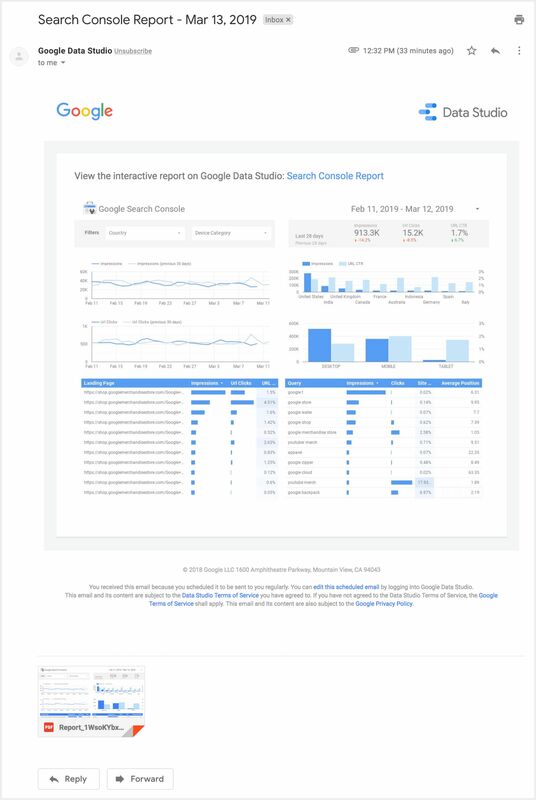 Google Data Studio emails flagged as spam in Gmail. If your issue is different, the forum is a great place to ask for help. Did you know about these Data Studio resources? On a busy day, the help forum can have up to 50 active threads. The forum is the best place to learn about new features. You can even get early access when the team needs beta testers. For example, the email report feature was made available in private beta 2 weeks before being released to all users. 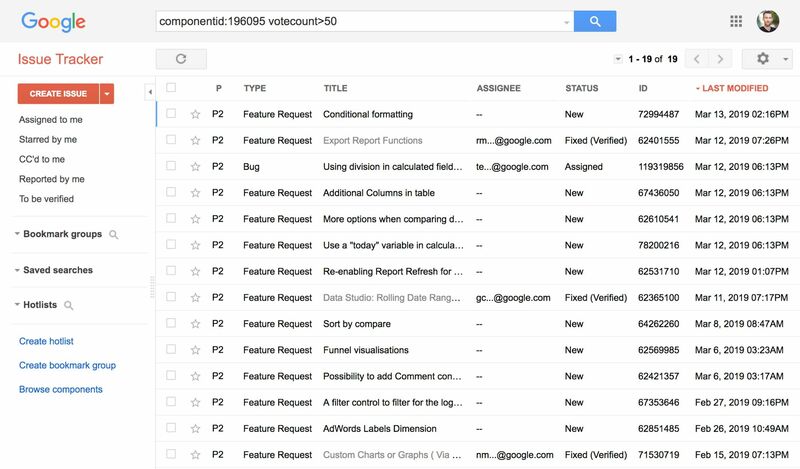 There is a dedicated platform for tracking feature requests for Data Studio. You can vote on existing requests, describe your own, or report bugs. 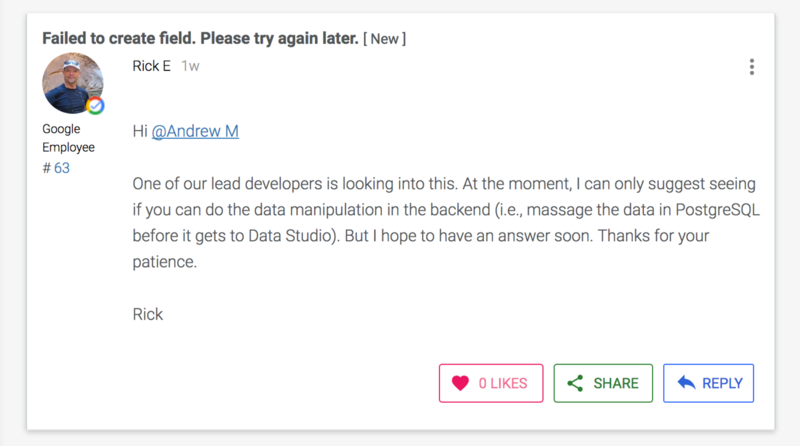 The most requested Data Studio features.